Heritage Industrial Services (Heritage) – was recently hired to perform the relocation of Pollaro Custom Furniture’s entire existing manufacturing facility along with inventory and tooling. The project consisted of the rigging, removal, loading and trucking of the pre-existing facility, located in Union, New Jersey, to the new modernized location in Hillside, NJ. All equipment was offloaded at the Hillside facility and carefully re-installed. Pollaro custom furniture is a creator of museum quality furniture for diverse applications including residential, yachts, corporate suites, boutique hotels, and retail interiors. Over the past 25 years, they have produced a wide variety of periods and styles of hand-made furniture with a focus on Modern and Art Deco. Considered the preeminent global source for exact reproductions of Jacques Emile Ruhlmann, Jean Michel Frank, Paul Dupre-Lafon, Dominique, Pierre Chareau, Albert Cheuret, Jean Dunand, Paul Iribe, Jules Leleu, Sue et Mare, Jacques Quinet, Armand Rateau, Alfred Portenueve, Clement Rousseau, Andre Sornay and others. Prior to any work being completed, Heritage worked hand in hand with the client to develop a logistics plan that would have minimal impact on his production at both locations. The equipment had to be moved carefully but time was also of essence. Heritage closely coordinated removals and trucking to keep the downtime to a minimum. Heritage was entrusted by Pollaro to rig, remove and re-install vintage machine tools. These tools were mostly produced in America by the Oliver Machinery Company between the years of 1897 and 1982 and were approximately ten times heavier in weight than comparably designed American machines built today. A brief list of machines relocated included a Martin German Sliding Table Saw, a KSN automatic sanding machine and an antique planer. Other equipment that was relocated consisted of a variety of antique priceless hand and power tools required to produce fine pieces of furniture as well as state of the art digital CNC equipment. In addition, Heritage removed the largest private collection of exotic wood veneer, lumber, rare slabs and priceless pieces of wood. The rare and priceless wood inventory consisted of Honduras Mahogany, Macassar Ebony Marbled and even Brazilian Rosewood that was harvested some 40 years ago. The transport of these wood slabs and sections was in fact just as challenging as the machinery if not more. Due to the special characteristics of every piece of wood being unique, not one single piece was allowed to be overly stressed or cracked. Extreme caution and the unique skills of our riggers and trucking crew were paramount in preventing unwanted warping, cracking or damage to these irreplaceable wood specimen’s that will someday become beautiful works of art. 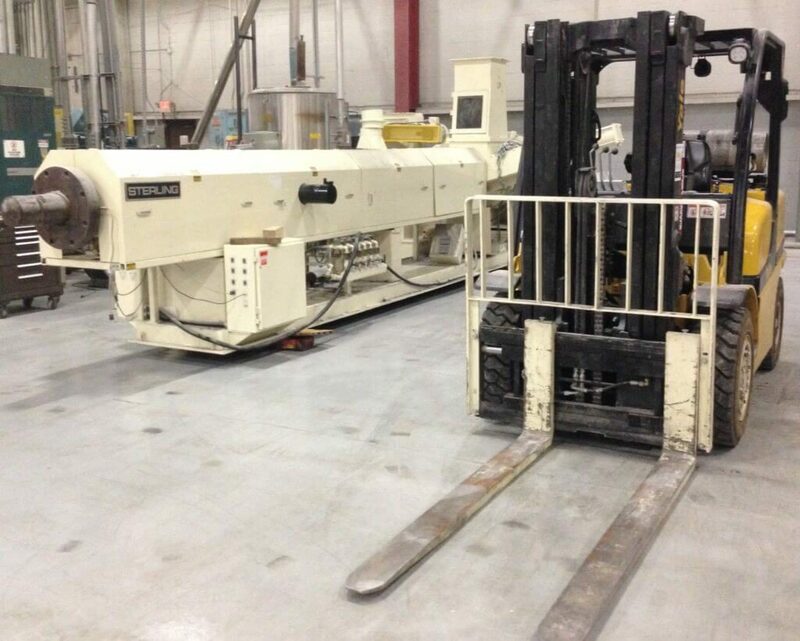 To complete this very time sensitive project, Heritage utilized a variety of rigging equipment including forklifts ranging in size from 3,500lb to 13,500lb capacity. The transportation side of the project was completed using a 53foot Landoll and drop deck trailers. Due to the careful planning and swift action of their rigging crews, Heritage was able to meet the client’s schedule. Relocation and re-installation of the equipment took 72 hrs and the wood relocation took a week. The project’s extremely tight schedule was met and the customer was extremely pleased that downtime was kept to a minimum. As always, the project was also performed safely and with no incident. 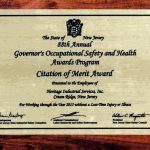 Heritage Industrial Services performs nationwide rigging, machinery moving / installation, millwright and dismantling services. We are a Small Business Enterprise (SBE), approved in ISNetworld ID # 400-223128 and are bondable. Safety is a priority on every project as well as quality control and adherence to all specifications and budgetary goals. Our OSHA trained and experienced crews are capable of handling all types of demanding / technical projects, from the smallest single piece of equipment to entire plant moves and dismantling projects. A “History of Quality and Dedication” is what separates us from others.